Ireland is the land of Irish pubs, magical creatures – these two sometimes walking hand in hand, breathtaking green landscapes and an amazing cultural heritage. It is also one of the top travel destinations of all time but not the cheapest, actually it is one of the most expensive ones. Naturally, if you know a couple of tricks, you can experience the country to its essence without facing total bankruptcy. If you look carefully, you can find quite a lot of free attractions in Ireland from natural wanders to historical monuments and museums. 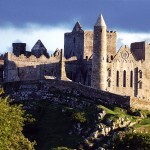 Below you will find the best attractions that you can visit for free while in Ireland. The Museum has got four sections, three (Archeology, Decorative Arts and Natural History) can be found in Dublin, while the fourth, Country Life, in Castlebar – Mayo County and all can be visited for free. Archeology section houses the largest collection of items connected to Irish history, culture and people. Fans of the Celtic world and Irish culture should really not miss it. Although the Northern part, it is still Ireland, Belfast is a great city full of fun. The long decades of hostility between the Catholic and Protestant community created a rich collection of political murals on both sides. It is not only free to take a tour and see the murals created by the Republicans and the Loyalists, but it’s also safe now. The worst thing to happen is to get a few unfriendly glance from a local if you stare at their house for two long. 😉 If you want to know more about the Catholic-Protestant conflict commonly knows as ‘The Troubles’, visit Ulster Museum for free. 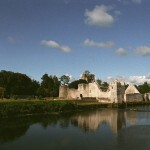 The whole island abounds with architectural memories of the Celtic culture and the Middle Ages. Let it be an ancient cemetery, a Celtic cross, the ruins of a monastery or castle, a hightower a lot of the historical monuments are free to visit. Even the some of the most famous attractions like the Hill of Tara and Glendalough are free to access, the fee they charge only applies to the heritage centers nearby. So feel free – literally – to tour the most valuable treasures of the Irish culture. My personal favorite. There is nothing better or more authentic than listening to some good old Irish ballads in an Irish pub in an Irish town next to a pint of good Irish beer. And it’s all free – well apart from your pint of beer maybe… Almost all pubs have regular or occasional live music all over the island and mostly you don’t even have to pay to listen. The famous Saint Patrick, Ireland’s proselytist to Christianity and patron saint is one of the central figures of the Irish culture. His name is linked to many places all over the island. You can follow his footsteps and visit the important locations connected to his life for free. Visit Armagh and Downpatrick Cathedral, both being the reputed grave of the saint or the holy mountain of Ireland, Croagh Patrick. The now existing St. Patrick’s Curch in Saul, near Downpatrick commemorates the missionary’s very first church on the island but there is a large number of free sights on Saint Patrick’s Trail. 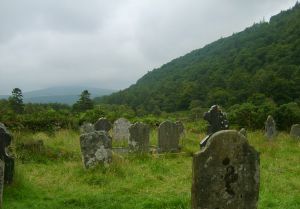 Ireland offers plenty of amazing things to see and do even if you are on a budget travel. It is a beautiful country with scenic landscapes and wonderful cultural heritage worth to be admired.